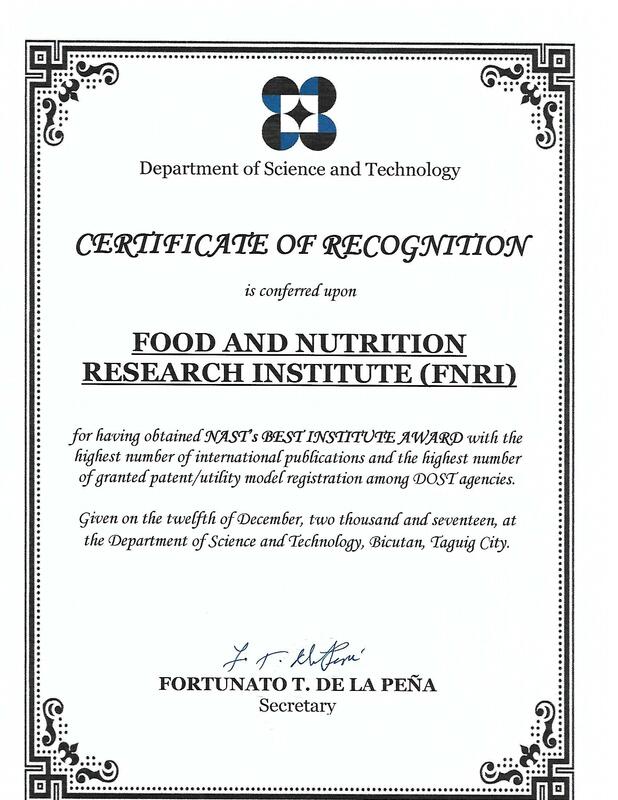 The Department of Science and Technology - Food and Nutrition Research Institute (DOSTFNRI) starts the three-year field data collection of the Expanded National Nutrition Survey (ENNS) in 2018. The change in survey data collection from six months in every five years to three years data collection in every five years was in response to the requests from different stakeholders, particularly the local government units (LGUs) to have local survey results that can be used for local level program planning. It’s another great year for another big award to Dr. Imelda A. Agdeppa and Ms. Marcela C. Saises and team. 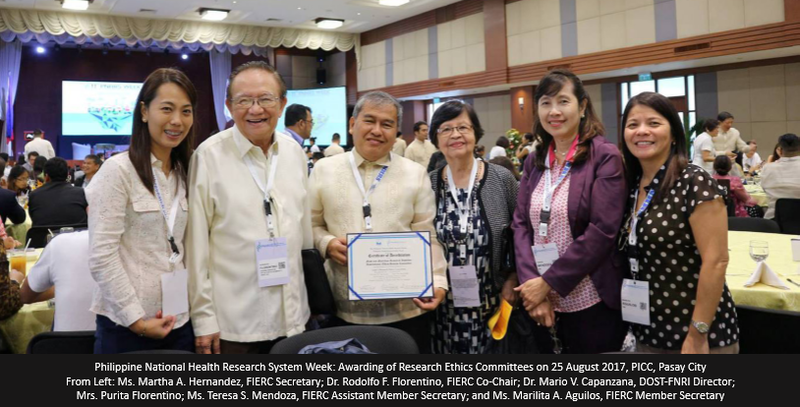 The 2017 CSC Pagasa Award was conferred to the COMVAL iRICE Team of the Department of Science and Technology Regional Office XI composed of team leader Dr. Anthony C. Sales, Director, DOST Region XI with members Mr. Kenneth D. Barroga, Provincial Science and Technology Officer, DOST Region XI, Dr. Imelda A. Agdeppa, DOST Assistant Scientist, Ms. Marcela C. Saises, Senior Science Research Specialist, DOST-FNRI, and Governor Tyron L. Uy of Compostela Valley.